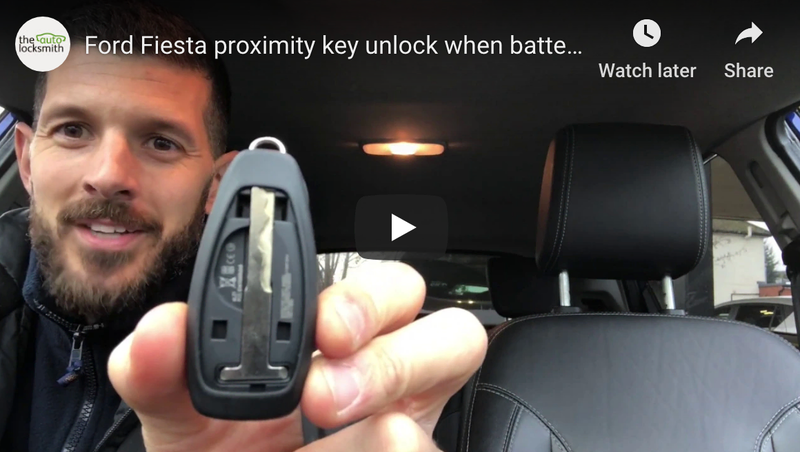 Proximity keys are great, they take up less space in your pocket, they don’t need to be turned in the ignition, they look super cool……but what happens when the battery in he key dies? We receive hundreds of calls from customers explaining how their Toyota Yaris proximity key has just stopped working. “I’m pressing the button and nothing is happening, it has to be the key!” We hear this on a daily basis. But chances are the key sis absolutely fine and the car battery is the culprit. If your Toyota Yaris battery goes flat the unit responsible for unlocking the car won’t be able to receive the signal from your proximity key. So when you press the unlock button the key puts out the correct signal, but the car is not listening to accept the signal. It’s like someone standing at your front door shouting “hello is anyone home”, when there is no one there. The guys have Toyota have a back up plan for when the car battery dies or the battery in the key ring out. Tucked in the side of the key is an emergency key blade. The key is cut to fit the lock on the drivers door. Go on admit it, I bet you didn’t even realise you had a lock on the door right? When customers call us to say their key is not working we explain that there is a good possibility the vehicle battery is dead and they should use the emergency key access blade to open the car. A good 80-90% of customers will tell us there is no lock on the door….it’s amazing what you can miss when you are not looking for it.